Ok. So this logo has become quite familiar around the world. And no, it’s not a YouTube phenomenon, some Facebook posting or a Vine clip gone crazy popular. No, it’s something quite different. An electric vehicle company. But why so popular and why is everyone head over heels in love with it? Here’s why (the short version); it’s a game changer. And that is exactly why I have ordered one. The ones that know me, know that I actually ordered the Silver Metallic paint. But changed my mind. I think this one looks just as nice – and possibly slightly better. I wanted this car since I saw the specifications for it – way back in 2009. 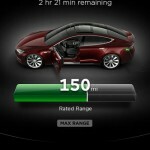 I wasn’t too convinced when they said that this car can do up to 480 km on a single charge. But that all changed when they made the prototype and actually managed to deliver their promised range and some. The other intriguing thing about it is that they also promised the handling and performance to be right up there with the big guys, Mercedes, Jaguar, BMW, Porsche and Aston Martin. Remember; it’s still an electric car. 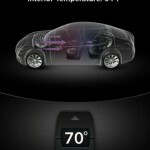 An electric luxury sedan to be exact. Well, you just have to come back later to get a writeup on that matter. What I can tell you though, is that the test runs I have had where amazing. Mind blowing to be accurate. Why? Because I had never experienced something like that behind a driving wheel – ever – period. The acceleration, drag, momentum, silence, sheer joy and a smile on my face. Those where the feelings I had. 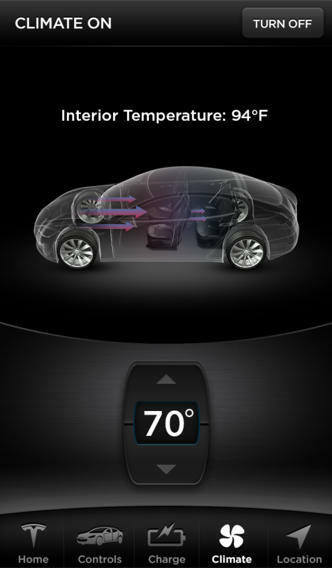 An electric car with this amount of power, slick lines, stable as a rock and not to mention drop dead gorgeous. I was sold. I knew when I stepped out, that this car was probably going to change my mind about cars from that point on. I was sold, I had to get one, please Tesla, here you go, take my money. 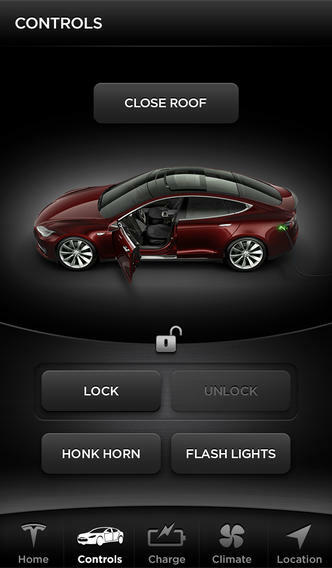 Did you know that you can control your Model S via an App on a smartphone? You can find it on your favorite device below. I think you should stop by here later to get a more in depth review of the car when I get it. I’ll try to give some tips and other useful information as time goes by. 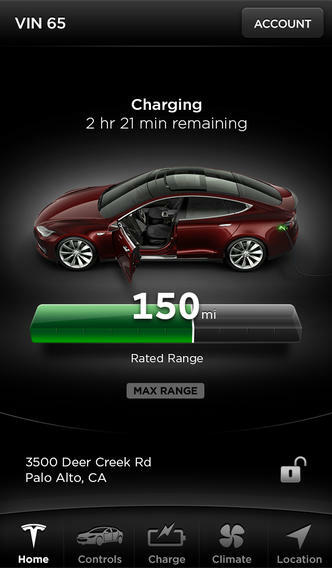 For now I urge you to consider the great value of getting an electric car and this Tesla Model S in particular. PS! Please use the comment field if you want to share your experience and insight.